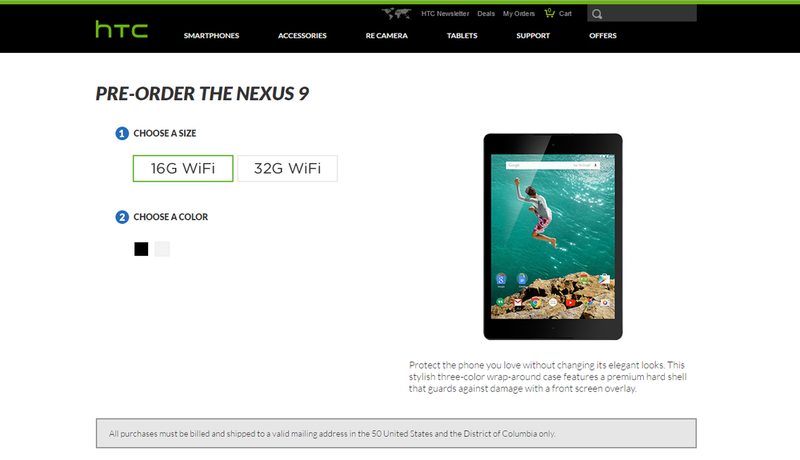 If you needed another storefront from which to order a shiny new Nexus 9, HTC itself should do you quite well. The manufacturer began accepting pre-orders for the 16GB and 32GB Wi-Fi variants earlier today, with the choice of either black or white outer casing. Interestingly, HTC is the only retailer so far to offer a ship date of October 31. That is not to say it is the best place to buy the Nexus 9, as Best Buy might suit your fancy, and Prime members will probably favor Amazon, but given how inconsistent Play Store deliveries can be, HTC might prove to be a little more reliable than some of the competition. That is, of course, barring any supernatural interference.